 David Tepper shared his thoughts on the season with Bill Voth today in a video released by the team, speaking for almost ten minutes on his “whirlwind” of a first season as sole owner of the Panthers, likening it to having a child – from the highs of a 6-2 start to the lows of a seven-game losing streak. 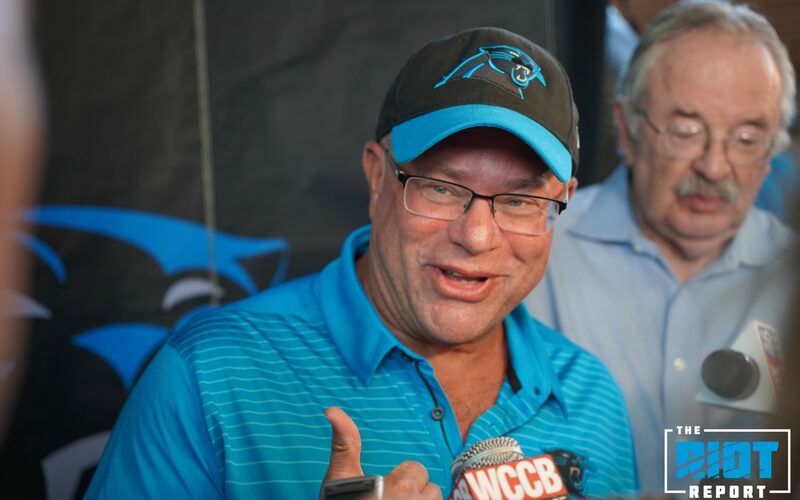 Before touching on football matters, Tepper made sure to mention how much he’s enjoying interacting with the Panthers fanbase, which he’s shown throughout his first season as he stopped by the Roaring Riot home tailgate multiple times throughout the season as well as joining the fans in Pittsburgh ahead of the game. The owner came into the season looking at the Panthers from an outside perspective – a team that’s led on both sides of the ball by Cam Newton and Luke Kuechly is certainly one that seemed ready to contend for a Super Bowl, but as the season bore on, even as the Panthers were winning early on in the year, it became obvious that changes needed to be made, especially on the defensive side of the ball as the Panthers struggled to stop their opponents. An important game against Tepper’s former team in Pittsburgh in which the defense gave up big plays throughout the contest and eventually lost 52-21 on national television certainly stung the owner – and he felt as if the changes on the defensive side of the ball from a coaching standpoint – defensive line coach Brady Hoke and secondary coach Jeff Imamura were fired with Ron Rivera taking over playcalling duties from Eric Washington after a Week 13 loss to the Tampa Bay Buccaneers – may have come too late to salvage the Panthers season. 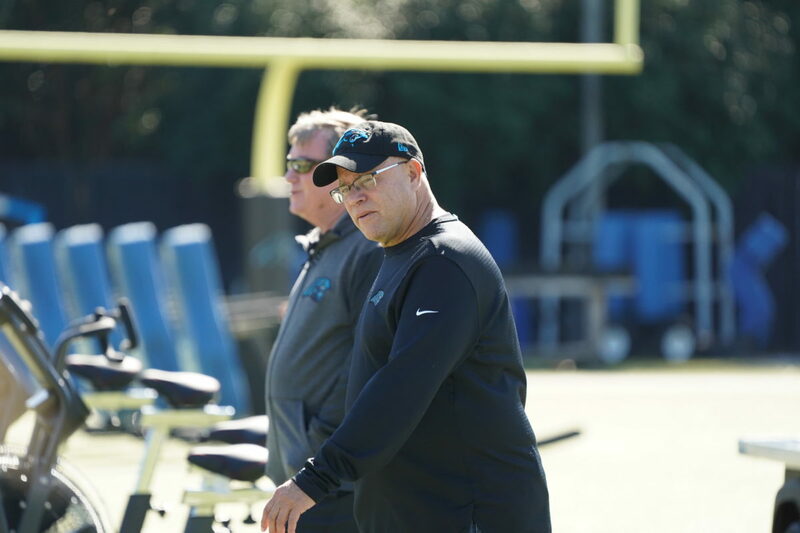 Those coaching changes are one of the reasons why he’ll continue to roll with Rivera and GM Marty Hurney heading into the 2019 season, citing the final two New Orleans performances as the level of defense the team could play; he also acknowledged that the team was certainly hindered as Cam Newton’s shoulder deteriorated throughout the season. Tepper says that the backup quarterback position is going to be very important going forward, but indicated that any decisions made would not only be for the 2019 season, but for the future of the franchise going forward – he’s not panicking about the condition of Cam’s shoulder going forward, hopeful that the team’s franchise quarterback will be ready to go for the beginning of next season. The new owner said they’ll take a “selectively aggressive” tact to free agency for not only this offseason, but going forward – and that may include the backup quarterback position.